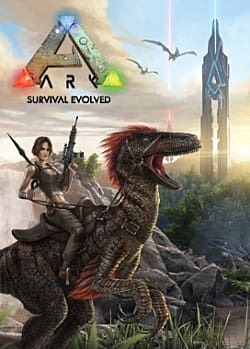 ARK: Survival Evolve is an open-world adventure and survival game by Studio Wildcard. The popular survival ARK: Survival Evolved, arrives on to the Nintendo Switch in November. Not sure if playing in iOS or Android is up your alley? We've rounded up all the major gameplay differences between the Ark editions! Not sure how to mate dinos or incubate eggs? We show you how to hatch your own baby dinosaurs and animals in Ark Mobile for iOS and Android! Not sure how to start taming dinos on Ark's iOS or Android versions? We've got you covered with a full Ark mobile guide! ARK: Survival is both fun and creative, but the community is fed-up with a perpetual stream of bugs in the game. The unconventional and horrifying steps required to properly tame a Reaper in ARK Aberration. Where to find Rock Drake eggs and how to hatch them and tame the baby in ARK Aberration. How to go about taming your own Bulbdog and what makes them such a good addition to your team in the ARK Aberration expansion. ARK: Survival Evolved was adapted for the new Xbox One X console! Find out all the details here! Will Studio Wildcard's sci-fi DLC for ARK: SE be worth the $19.99 price tag? It depends on what you want out of the expansion. How to ascend in ARK the absolute easiest way. How to find and tame the Otter introduced in the Full Release of ARK: Survival Evolved. How to Ascend to reach the final boss in ARK: SE using console commands or legitimate methods. Want to spawn some a tamed griffin or fight a dragon boss or access god mode? Console commands give you free reign of the full Ark experience! Tired of the same old roster of dinos and beasties to tame or kill? With these mods, the life of Ark is significantly extended with new furred, feathered, and scaled creatures! A whole new flying mount in addition to fire and ice bosses await in the Ark: Survival Evolved Ragnarok expansion -- plus Griffin locations! Even with some delays, Ragnarok could be coming sooner rather than later! Scorched Earth Brings the Heat to ARK: Survival Evolved! The New ARK 256 Update Is Huge, But Why Is the Community Upset?